Currie, James T. The United States House of Representatives. Krieger, 1988. MacNeil, Neil (1963). Forge of Democracy: The House of Representatives. New York: D. McKay. Peters, Ronald M., Jr (1997). The American Speakership: The Office in Historical Perspective (2nd ed.). Baltimore: Johns Hopkins University Press. ISBN 0-8018-5758-9. Polsby, Nelson W. (2004). How Congress Evolves: Social Bases of Institutional Change. New York: Oxford University Press. ISBN 0-19-516195-5. Poole, Keith T.; Howard Rosenthal (1997). Congress: A Political-Economic History of Roll Call Voting. New York: Oxford University Press. ISBN 0-19-514242-X. Remini, Robert V. (2006). The House: The History of the House of Representatives. New York: HarperCollins. ISBN 0-06-088434-7. Sinclair, Barbara (1983). Majority Leadership in the U.S. House. Baltimore: Johns Hopkins University Press. ISBN 0-8018-2933-X. Julian E. Zelizer, ed. (2004). The American Congress: The Building of Democracy. New York: Houghton Mifflin. ISBN 0-618-17906-2. Abramowitz, Alan I.; Saunders, Kyle L. (1998). Ideological Realignment in the US Electorate. 60. Journal of Politics. pp. 634–652. Adler, E. Scott (2002). Why Congressional Reforms Fail: Reelection and the House Committee System. . Univ. of Chicago Press. Barone, Michael; Ujifusa, Grant (2005). The Almanac of American Politics 2006: The Senators, the Representatives and the Governors: Their Records and Election Results, Their States and Districts. , Published every two years since 1975; enormous detail on every state and district and member. Berard, Stanley P. (2001). Southern Democrats in the U.S. House of Representatives. Univ. of Oklahoma Press. 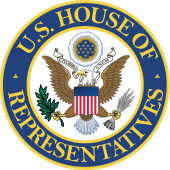 Biographical Directory of the United States Congress, 1774–2005. Washington: Government Printing Office. 2005. , Prepared by the Office of the Clerk, Office of History and Preservation, United States House of Representatives. Contains biographical entries for every Member of Congress. Also online at Biographical Directory. Brady, David W. (1973). Congressional Voting in a Partisan Era: A Study of the McKinley Houses and a Comparison to the Modern House of Representatives. Univ. Press of Kansas. Brady, David W.; McCubbins, Mathew D. (2002). Party, Process, and Political Change in Congress: New Perspectives on the History of Congress. Congressional Quarterly, massive, highly detailed summary of Congressional activity, and major executive and judicial decisions; based on Congressional Quarterly Weekly Report and the annual CQ almanac. Cooper, Joseph (1970). The Origins of the Standing Committees and the Development of the Modern House. Rice Univ. Press. Cox, Gary W.; McCubbins, Mathew D. (1993). Legislative Leviathan: Party Government in the House. Univ. of California Press. DeGregorio, Christine A. (1997). Networks of Champions: Leadership, Access, and Advocacy in the U.S. House of Representatives. Univ. of Michigan Press. Gertzog, Irwin J. (1984). Congressional Women: Their Recruitment, Treatment, and Behavior. Praeger. Hardeman, D. B.; Bacon, Donald C. (1987). Rayburn: A Biography. Texas Monthly Press. Hatzenbuehler, Ronald L. (1972). "Party Unity and the Decision for War in the House of Representatives in 1812". William and Mary Quarterly. 29: 367–90. doi:10.2307/1923870. Hechler, Ken (1980). Toward the Endless Frontier: History of the Committee on Science and Technology, 1959–79. Washington: Government Printing Office. Hibbing, John R. (1991). 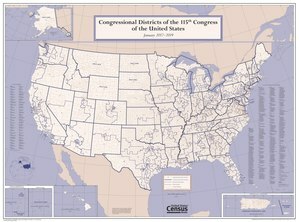 Congressional Careers: Contours of Life in the U.S. House of Representatives. Univ. of North Carolina Press. Jacobson, Gary C. (1990). The Electoral Origins of Divided Government: Competition in U.S. House Elections, 1946–1988. Westview. Kiewiet, D. Roderick; McCubbins, Mathew D. (1991). The Logic of Delegation: Congressional Parties and the Appropriations Process. Univ. of Chicago Press. Klingman, Peter D. (1976). Josiah Walls: Florida's Black Congressman of Reconstruction. Univ. Press of Florida. Margulies, Herbert F. (1996). 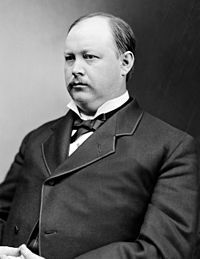 Reconciliation and Revival: James R. Mann and the House Republicans in the Wilson Era. . Greenwood. Merriner, James L. (1999). Mr. Chairman: Power in Dan Rostenkowski's America. Southern Illinois Univ. Press. Patterson, James (1967). Congressional Conservatism and the New Deal: The Growth of the Conservative Coalition in Congress, 1933–39. Price, David E. (1992). The Congressional Experience: A View from the Hill. Westview. , Political scientist who served in House. Rohde, David W. (1991). Parties and Leaders in the Postreform House. Univ. of Chicago Press. Rohde, David W.; Shepsle, Kenneth A. (1987). "Leaders and Followers in the House of Representatives: Reflections on Woodrow Wilson's Congressional Government". Congress & the Presidency. 14. Schickler, Eric (2001). Disjointed Pluralism: Institutional Innovation and the Development of the U.S. Congress. Shelley II, Mack C. (1983). The Permanent Majority: The Conservative Coalition in the United States Congress. Sinclair, Barbara (1982). 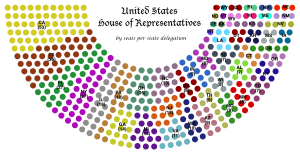 Congressional Realignment, 1925–1978. Univ. of Texas Press. Sinclair, Barbara (1995). Legislators, Leaders, and Lawmaking: The U.S. House of Representatives in the Postreform Era. Johns Hopkins Univ. Press. Stewart, Charles H., III (1989). Budget Reform Politics: The Design of the Appropriations Process in the House of Representatives, 1865–1921. Cambridge Univ. Press. Story, Joseph (1891). Commentaries on the Constitution of the United States (2 vol.). Boston: Brown & Little. Strahan, Randall (1990). New Ways and Means: Reform and Change in a Congressional Committee. Univ. of North Carolina Press. VanBeek, Stephen D. (1995). Post-Passage Politics: Bicameral Resolution in Congress. Univ. of Pittsburgh Press. Zelizer, Julian E. (2006). On Capitol Hill : The Struggle to Reform Congress and its Consequences, 1948–2000.